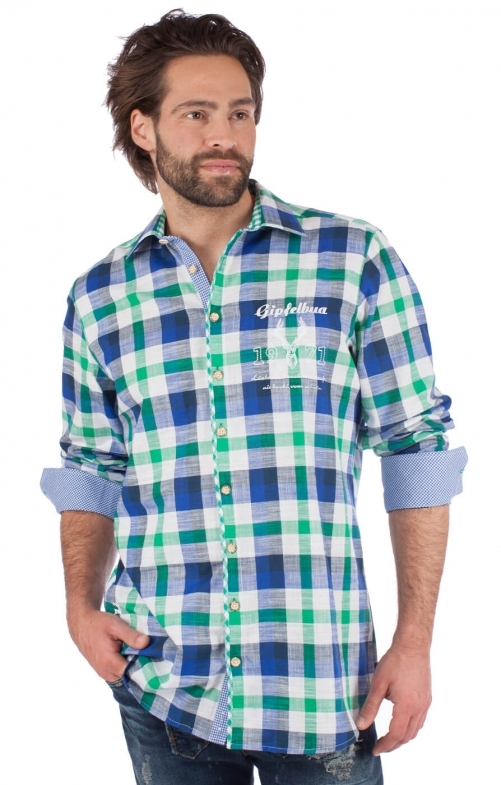 Casual long-sleeve men’s blue and green chequer shirt. For Trachten outfits with a twist, look no further than this traditional German shirt. Match it with jeans and leather boots, and your Oktoberfest outfit is set. It features a French front placket with nine deer-horn buttons. The cuff also features a pair of deer-horn buttons, and the lining matches the one on the placket. A stag’s head is embroidered in white on the chest, in true Trachten style.